Rose-purple blooms in May. 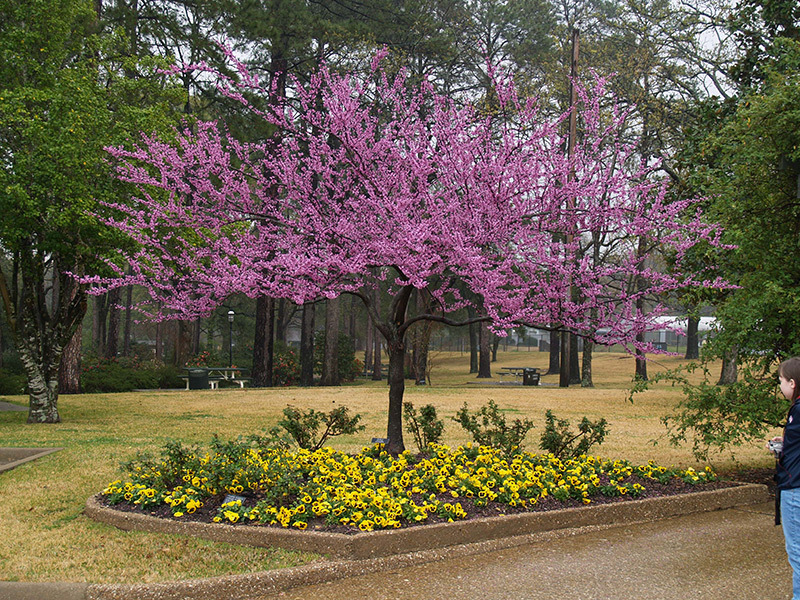 Superb colored leaf form of redbud. Beautiful red foliage throughout the year.